Ubisoft imagines what it would be like if Gardener’s World had Parkour, robots and giant beanstalks. In some ways, Grow Home is a bit like Assassin’s Creed, but Assassin’s Creed set in a bright and colourful land where killing is replaced with gardening and the stealthy assassins are replaced by a fidgety loud robot. Ok, so it’s not all that much like Assassin’s Creed, but it does have the same feeling of exploration, of climbing up to a very high point and trying to pretend you don’t have vertigo as you look at the tiny world below before plummeting off your precipice and hoping for the best. It also has a penchant for collectables, in the form of the star seeds required to complete the game and of various plants and animals that can be catalogued by dragging them to a nearby teleport. Side missions, of a sort, can be found as part of the natural landscape; rescue a trapped animal here or find a new hidden path there. There’s a lot to do and the game doesn’t make it obvious at the start, so stumbling across these events is always a joy. The main game, though, is focused on growing a huge plant that forms the centre of the map. Stalks jut off from the main plant and only by climbing to their red flowers, then pulling the stalk so that it grows towards a glowing rock, feeding the main plant with power, can you reach higher levels and your eventual goal of finding star seeds to send back to Earth. In choosing which path these stems take, you begin to fashion your own world. Every feed you give the main plant will allow new shoots to grow and new opportunities to wind the stalks around the rest of the world, sending you off to any of the various floating islands dotted around or up to the bigger pieces of land, complete with waterfalls and new plants to find and catalogue. The climbing mechanic is interesting, it’s not the instant one-button parkour of the Assassin’s Creed series but a method that uses the trigger buttons of your joypad to control your arms. Climbing, then, is a case of gripping with the left arm, then the right and then repeat. It takes a while to get used to but, at the same time, makes perfect sense. With climbing comes the inevitable fall, though, and plants are of help here, too. Picking daisy-like plants and storing them in your backpack will give you a parachute when you fall too far, but as petals drop off you’ll need to find somewhere safe to land before the plant fails you and you tumble to your doom. 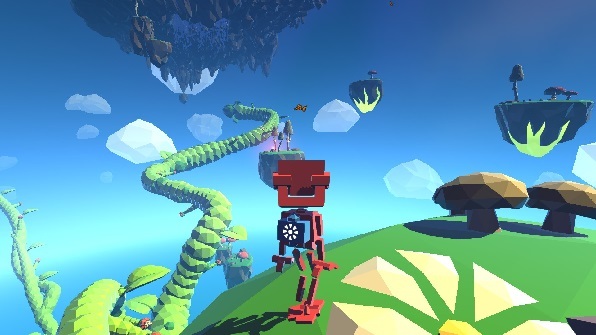 Grow Home is worth exploring, too, with its wonderful waterfalls and colourful scenery. It looks, at times, like a child’s drawing of a garden but with more detail and plenty of hidden gems that will delight anyone that comes across them. It’s a vastly different aesthetic than we’re used to from Ubisoft, but it works so well. 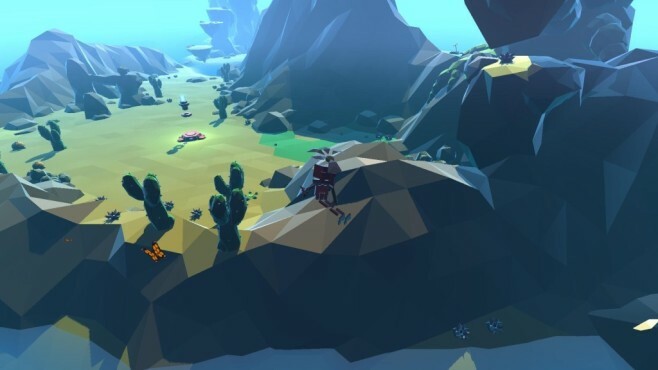 While the publisher’s other games may be AAA high budget affairs that sell in their millions, Grow Home is a quiet oasis of fun that really deserves to sell just as well as those other titles. Steam’s store front doesn’t do it any favours, which is a shame as this is a game that deserves more attention.